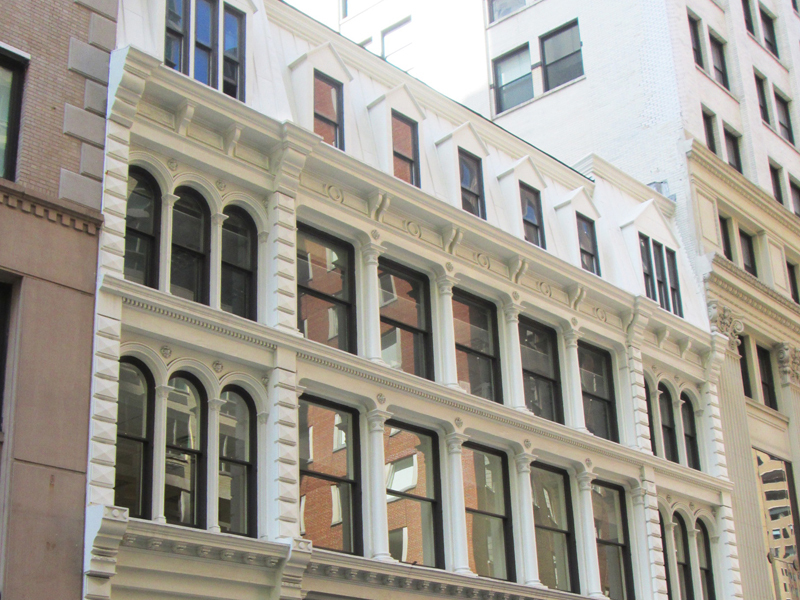 The new owner of this landmarked cast-iron office building demanded a tight budget and speedy construction schedule for the necessary facade restoration. Careful planning, window pre-ordering, and fast tracking the mold process enabled financial considerations and time constraints to be met. Extensive cataloging of all individual cast iron details determined what was to be repaired and what needed to be recreated and replaced. 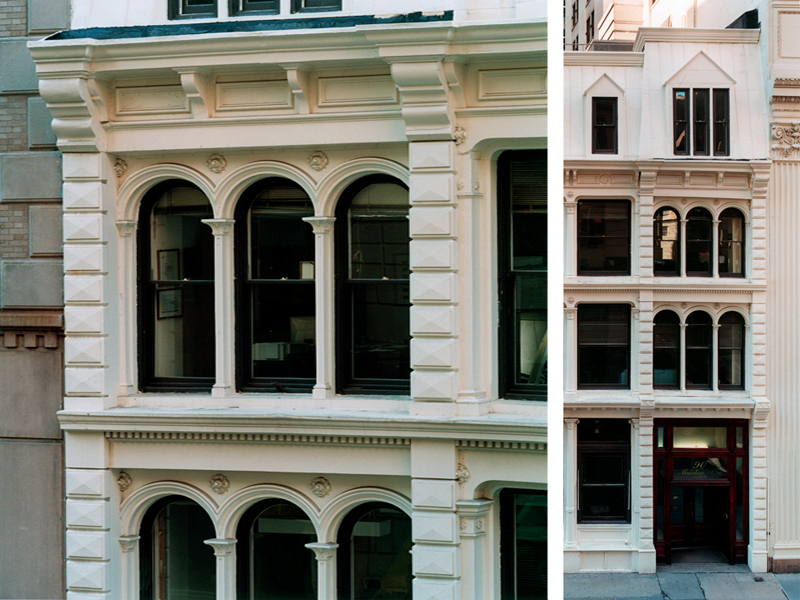 New windows were fabricated in accordance with the original design. 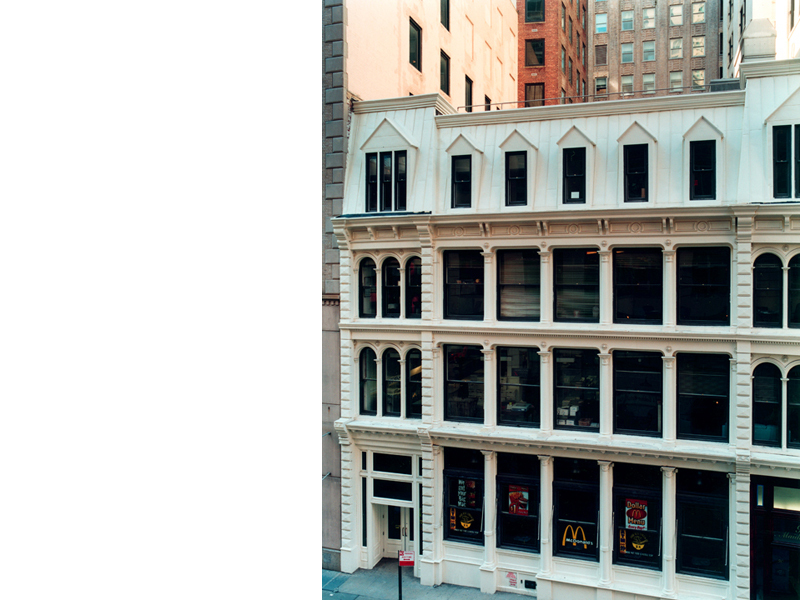 Both the cast iron work and window replacement were approved by The New York Landmark Preservation Commission. Work was completed ahead of schedule and on budget.